Chambers explores the fragility of the human condition through paintings based on crumpled paper sculptures, often using text, pattern or groupings to create a dialogue with the viewer. 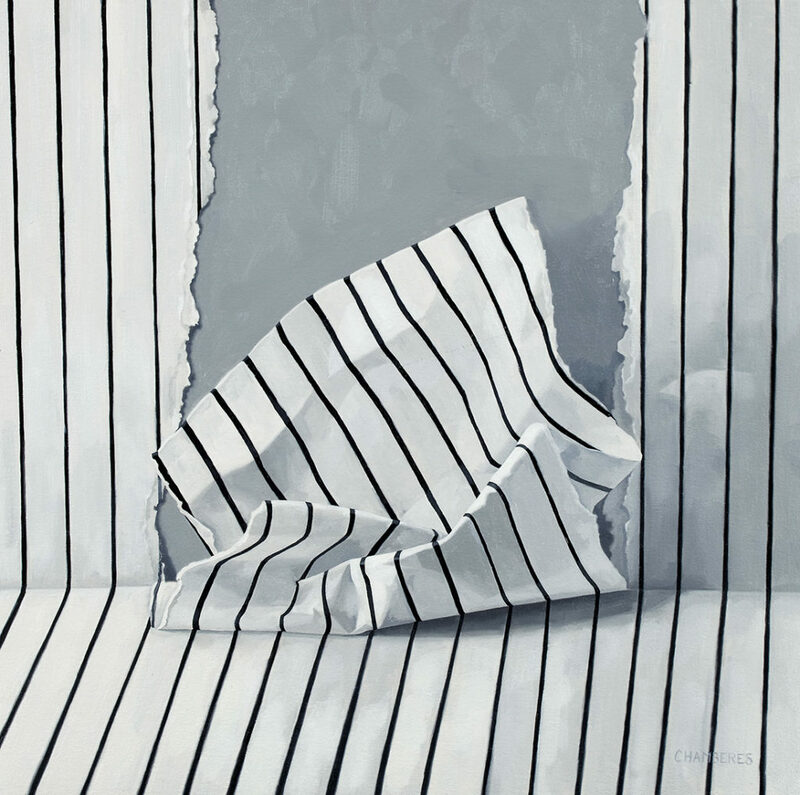 Technically, she is concerned with the composition and complexity of working with the grey scale, challenging her ability to capture dimension and light with a minimalist palette. Created for Art Gems, Interruption, is an exploration of the interplay between two-dimensional versus three-dimensional space and its unraveling upon the picture plane. Themes of inability, loss, potential, renewal and change were present during the creation of this piece. Left intentionally vague, Interruptioninvites the viewer to expand on the painting’s narrative. 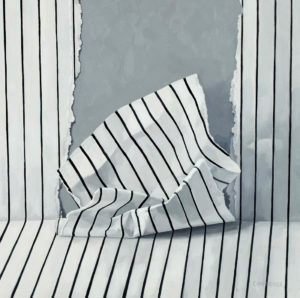 Lindsay Chambers is a Canadian artist currently practicing in Toronto. She holds an Honours BA in Fine Arts and Psychology from the University of Waterloo, a Post-Graduate Certificate in 3D for Broadcast Animation and Design from Humber College and a Bachelor of Education from the University of Windsor. Her work can be found in collections across Canada, as well as in the United States, UK, Dubai, New Zealand, Australia and Japan.